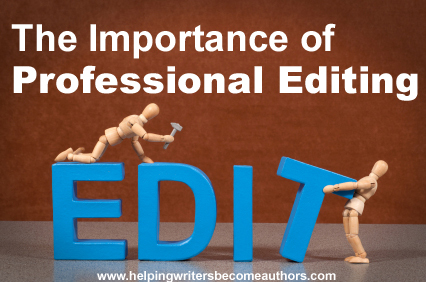 I have been a ghost writer online since 2003, and a professional editor on and off since before 1980, so you might want to consider this article on how editing is very important for book authors. In fact, it’s also about how editing is important to ghost writers–many ghosts make their “main money” from book editing, so a lot of them are really only book manuscript editors and not ghost writers per se. When you present your manuscript to a literary or book agent, or even a commercial publisher, it’s very important for the book to be almost ready to run and print. If it isn’t (if it’s full of typos, spelling errors, syntax dilemmas, and problems with the overall writing), the agent often will turn away from it. You don’t want your book to be passed over. So it’s best to always hire a professional book editor to give your manuscript a thorough going through before presenting it to an agent or publisher. Many book editors advertise their services as professional ghost writers. 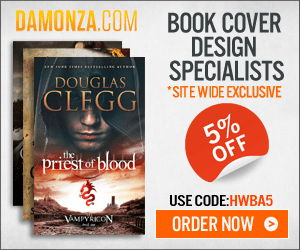 A lot of literary agents and commercial publishers hire the services of ghost writers to work on incoming manuscripts, which they feel provide worthwhile and marketable info, but which are poorly written and need substantial editing. So you can either pick and hire a good book editor yourself, or gamble that the agent or publisher you are contacting will see about arranging a book editor for you. There are several types of editing a manuscript might need. I will list the major ones below, concentrating on the various styles and what they entail. This form of editing means going over a manuscript line by line and editing it for grammar errors as you go. It doesn’t entail any extensive rewriting, but there may be some use of color editing to liven up flat prose, and there may be some reduction of redundancies (such as repeated information). Basically, line editing and proofreading checks for the most basic of grammatical and syntax errors. This style of editing may include the use of a style guide, such as the Chicago Manual of Style. This is the most basic form of rewriting for style. It involves rearranging some of the copy so it reads better, flows, and is more consistent overall, while retaining the basic structure of the manuscript. This is not really true rewriting, just some reworking of the wordage to make it more colorful, spicy, provocative, or original. This is an upgraded form of color editing, in which some minor to major rewriting may be involved. The idea is to take prose that is only tell not show (or in other words flat, lifeless, and merely going through the motions) and turning it into prose that transports the reader right into the scene, making them feel like they are actually there. This style of editing is often called rewriting, but its nuances are far more involved than mere rewriting. This style of editing involves some major rewriting, such as rearrangements of entire scenes, some scene deletion if redundancies are involved, and minor reworking of the major and minor characters to include new characteristics. It may involve changes in overall tone and development to include new characters, new plot lines, etc. This style of editing is sometimes called extensive rewriting, and it somewhat phases into the next style: developmental editing. In this type of edit, you will be adding a lot of new info, as well as taking some of it out if it’s lifeless and undeveloped. In other words, you will be plowing deeply into the book and developing most of its info much further. 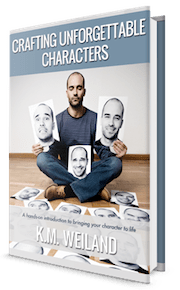 You may add new traits to characters, add entirely new characters, scenes and plot lines. The point is to take what’s already there and develop it further, drawing out the good in each scene. Developmental editing includes pretty much all of the above styles of editing and is the most extensive and costly form of editing. As the style of editing gets more involved, the cost for each type of editing goes up. Basic or line editing and proofreading runs anywhere from $500 to $2,000 USD for a typical 25-50,000 word book manuscript. The pricing goes up from there as the style of editing gets more intensive. Developmental editing can run anywhere from $5,000 to $50,000, depending on the amount of work actually involved. Pricing largely depends on the budget of the author and the needs of the editor or ghost writer. It will be determined on a per project basis. Spending money on your book is worth it if you want a workable, hassle-free “clean copy” that you can present professionally to the right people. 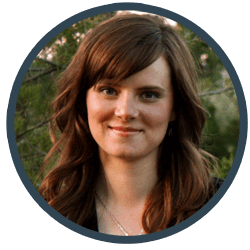 Karen Cole has been the head of Ghost Writer, Inc. since the beginning of 2003, when it was called Rainbow Writing, Inc. GWI is an affordable agency for ghost writers and editors. They also do full book, screenplay, and some music marketing and promotions services. They accept all types of fiction and nonfiction freelance writing and offer editing services for memoirs, biographies, scripts and screenplays. They also specialize in business writing. Visit Karen on Facebook, Twitter, and LinkedIn. Some manuscripts may need professional editing before they’re ready to be viewed by agents or editors. Others won’t. Thus I find it problematic that this column says “it’s best to always hire a professional book editor”–the words “best” and “always” suggesting that no manuscript could possibly be ready without such assistance. That’s a scare tactic, in my opinion–and considering we’re talking anywhere from 2K to 50K for editorial services, an expensive scare tactic. Not the kind of advice that should be handed out without qualification, I think. As nice as it sounds, I simply cannot afford this. Affordability is the main problem here Kitty. But don’t think for a second that it’s overpriced. It is worth every penny! Trust me! I used to think that I could rather go for it and publish my books without an editor but oh when I saw an edit of my book, I was left awestruck! Thanks for sharing with us today, Karen! THANK YOU, Karen, for your post! As a freelance editor, I greatly appreciate what you’ve shared here. I agree with YA Guy above that not everyone needs a professional editor. I would, however, insist that everyone needs a second set of eyes. That’s what professional editors offer. Can you get that without paying someone? OF COURSE! But sometimes the quality and experience well exceed the expense in value. Thank you, Karen, for your post. I’ve read too many self-published books that were full of typos, repeated information and even holes in the plot. By not bothering with an editor, either because they didn’t think they needed one or didn’t think they had the money to pay one, they’ve lost me as a reader of anything else they publish. We all need to face the fact we need someone else to review our work. In response to Kittie, you could have someone read the first ten pages and let you know what level of edit you need. If they are suggesting a level of editing you can’t afford, then you could take that to mean you probably need to do some re-writing of your own. I understand the amount of work that goes into editing, but the price is extremely outragious. That is the main determinant for me. I offer a “dating” period with all new clients. I have a flat fee ($60) for the first five pages. That sounds like a lot for five pages, but that lets me highlight most of the major issues that will come to play in your manuscript. (See Noah Lukeman’s book “First Five Pages.” Clients can then decide if they want to take that information and apply it to the rest of the manuscript themselves or if they want to hire me to review the whole piece. It lets them know how much work may be ahead (and how much that might cost) and it lets both of us see how well our personalities mesh and whether or not we’ll be able to work well together. I think the biggest issue for most authors is the money. We believe people should be paid well for a service they provide, but most authors have limited or zero funds which makes it a difficult decision, given the other costs that go into getting a book published whether you’re with a publisher or not. Having said that, editing is an important step that can cause problems if not considered carefully. Love what you said, Tanya about building a relationship. I know editors who help out fellow authors for an affordable fee (sometimes free) because they love what they do and want to support authors. Great post! KM, thanks for this post…I hired an editor that was recommended by an established author, and I paid $1200 for line editing, content, the whole ball of wax. She was incredibly thorough and also offered to do a second read after I make all the necessary changes…and there are a LOT. After seeing the pricing here, I’m thinking I got a BARGAIN! I am lucky that I can invest the money into my book, my less than glamorous day job fuels my writing habit. IT IS outrageous but the help is just not on par with anything else. If you want to get published, you have to make it happen. You cannot see your own work, I don’t care who the author is, the greats, Fitzgerald, Hemingway, Wharton all had editorial help. The bar these days is so high, they want ready run, ready run, think about that. In the old days, if you had talent and good bones you got paired with an editor whose job it was to tease, shape and pull the very best book out of they could. Karen, thanks for the definitions and explanations. We couldn’t do it without you! I do professional manuscript evaluations to identify problem areas. It’s not a full edit, but for those with a limited budget it’s helpful. Thanks, everybody, for your wonderful comments and wisdom about editing. Thanks for the breakdown on the different styles of editing – great information to have. My main considerations would be cost, professionalism, and experience. I don’t have deep pockets, so I need to work within my constraints. I want someone who is running their editing business like a business and is appropriately responsive. I also want someone who has years of experience doing the editing and a good strong track record.